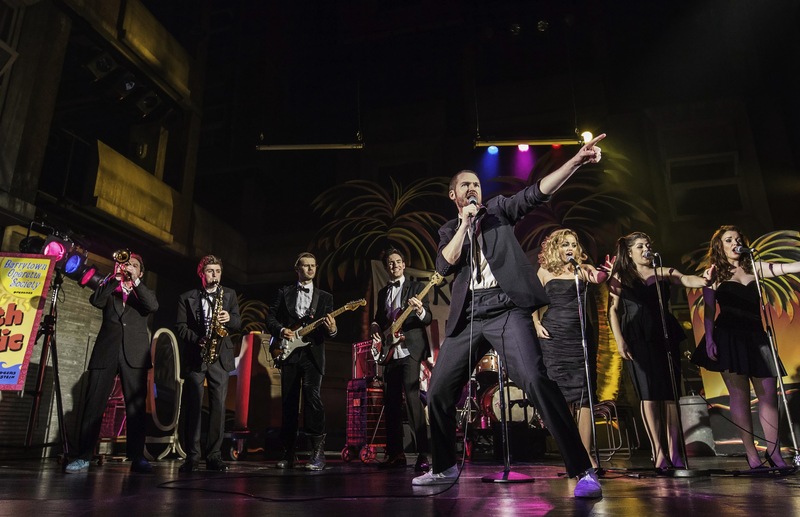 Bursting with energy, character, hits and humour, new musical The Commitments is fully deserving of the great success that comes when a terrific musical idea is expertly and lovingly realised. 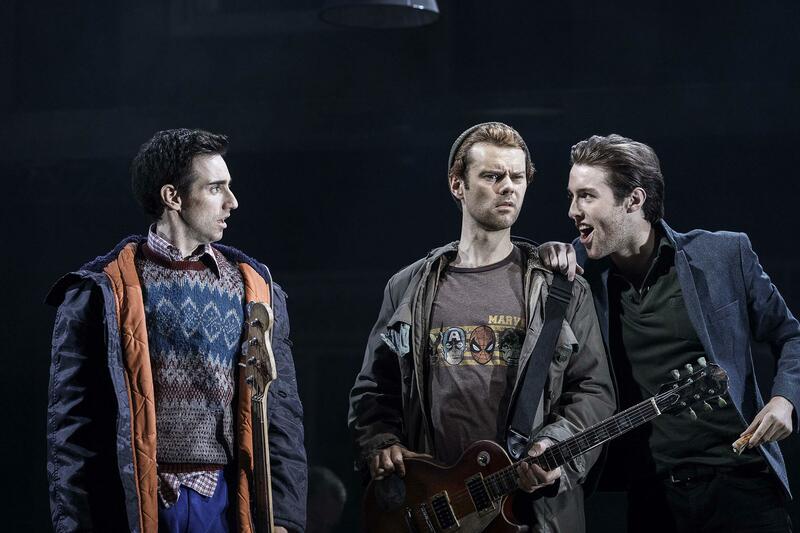 Technically a jukebox musical, due to the use of pre-existing songs, the show lifts itself well above the pack with a compelling story that is elevated by the musical numbers rather than shoe-horned around them. A key factor in achieving the authentic voice of North Dublin is the book by Roddy Doyle, which is based on his 1987 novel and the hit 1991 movie he co-wrote. It’s 1986, and for a motley bunch of young unemployed musicians, the only way up and out is as part of a band. The combination of Doyle’s concise book and Jamie Lloyd’s snappy direction allows the central dozen characters to be established quickly and colourfully. Ultimately the storyline is a little sparse, with a fantastical happy ending that is a bit hard to swallow (it seems to be mainly be there to lead into the fantastical finale). The hectic scenes concerning the band’s premature implosion are certainly fun to watch. 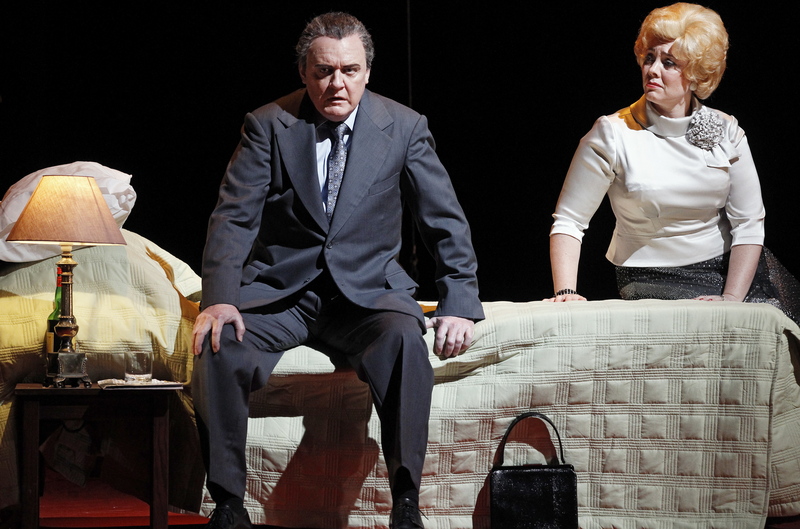 To keep the action brisk, Doyle and Lloyd have widely adopted the Jersey Boys model, in which only the necessary snippets of songs are used, saving the action from becoming bogged down in its own nostalgia. In the modern style of Wicked or Billy Elliot, songs are threaded throughout scenes, interspersed between dialogue, and even set and costume changes. And what a selection of songs they are. Twenty soul standards are on the song list, with another eighteen listed as “featured.” As much fun as the liaisons, bust-ups, punch-ups and successes of the band are, the performance of the key songs sounds so exciting that they would stand alone as a thrilling concert performance. 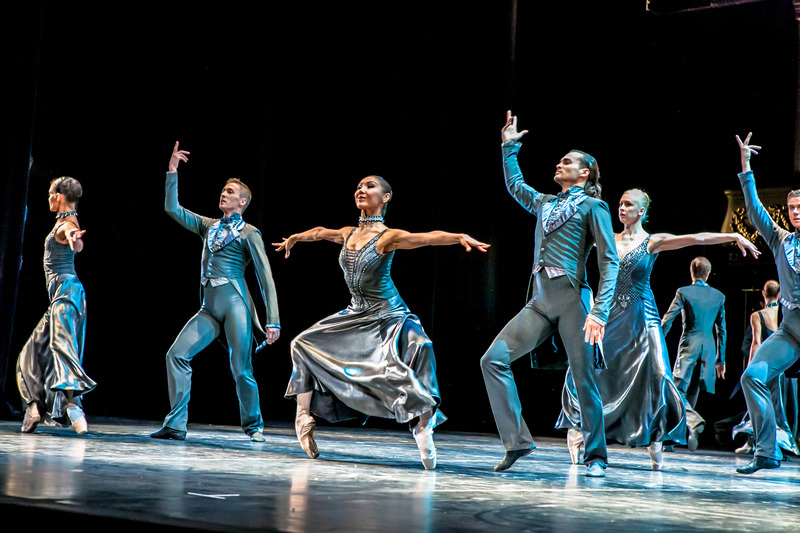 As the band progresses, improvements in costumes, choreography and lighting help to tell the story of the burgeoning success. 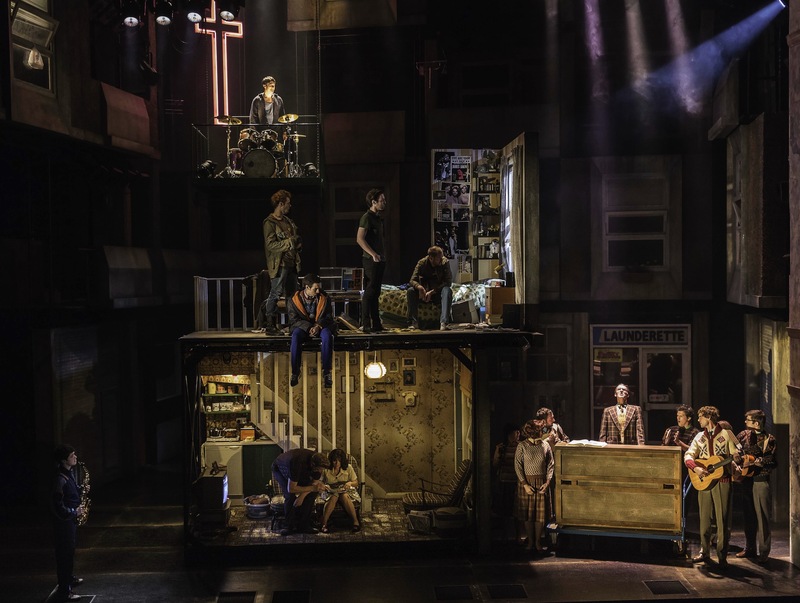 Soutra Gilmour’s deliberately claustrophobic three-storey set features a rabbit warren of modular pieces that glide in and out for various scenes. 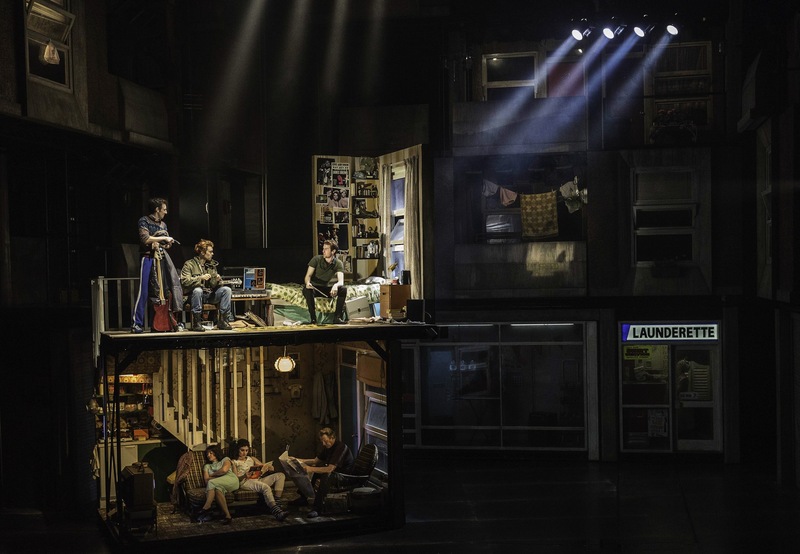 The scope and technical accomplishments of the set are far beyond what was expected for the show. The design aids the rapid cross cutting of scenes, not just achieving a filmic level of quality, but surpassing it by having multiple scenes play out at once. Mention must be made of Jon Ckark’s lighting design, which, like Gilmour’s costumes, is practically another character in the show. A “show cloth” of 144 golden glowing lights kick-starts the concert arena atmosphere. Given the massive height of the proscenium arch, lighting bars are continually lowered in and out to illuminate the various scenes. Expert use is made of colour to make distinctions between the various locations where the band performs. 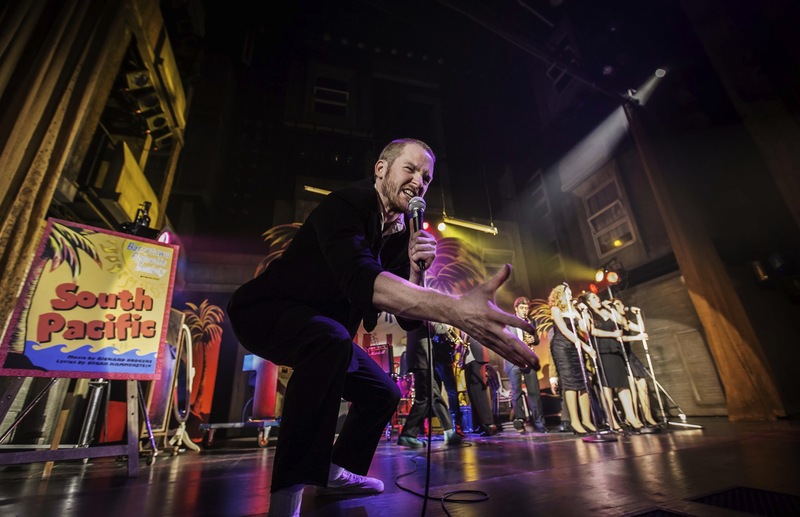 Killian Donnelly gives a breakout performance as destructively self-centred lead vocalist Deco, his strong, high voice belting out standards such “Papa was a Rolling Stone,” “Satisfaction,” and the big movie hit “Mustang Sally.” Denis Grindel proves a charismatic lead as young band manager Jimmy. Ben Fox has a ball as elder statesman Joey, who pulls all the birds, and makes all his entrances on a nifty red Vespa. 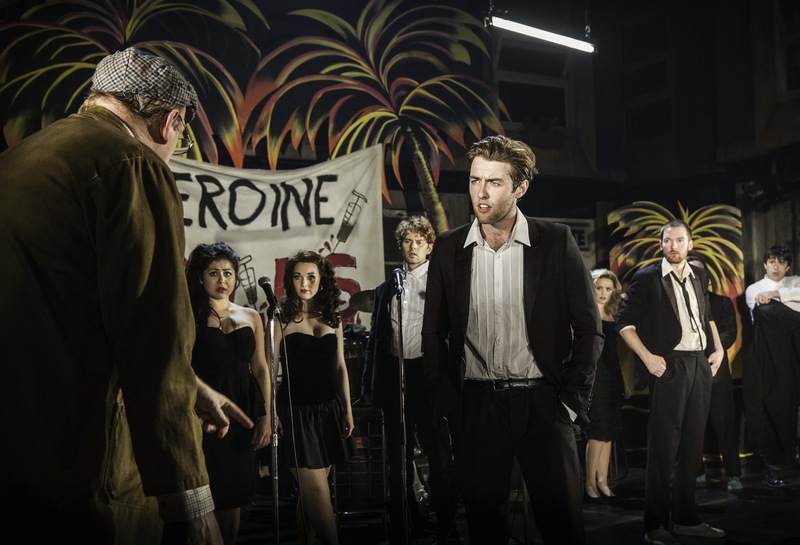 The Commitments leaves the audience buzzing, especially after its hit-parade finale. 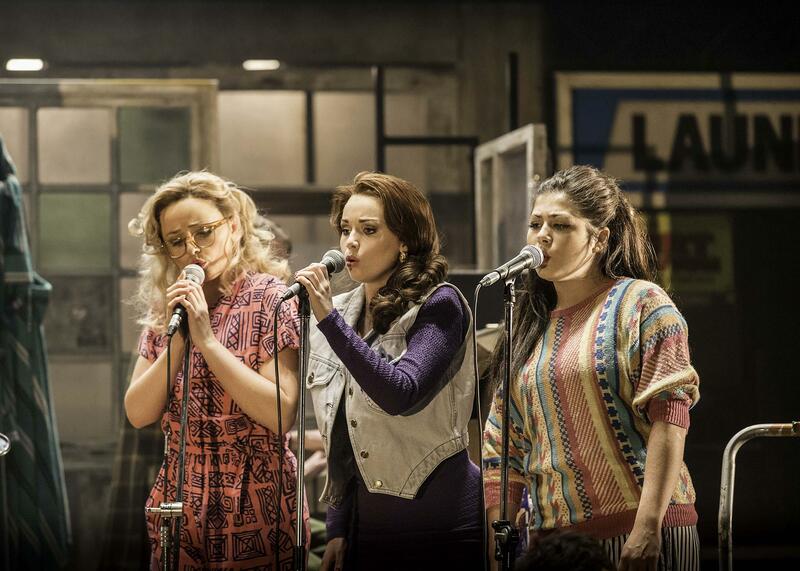 Sure to be a long-running, crowd-pleasing hit, The Commitments would also go down an absolute treat in Australia. 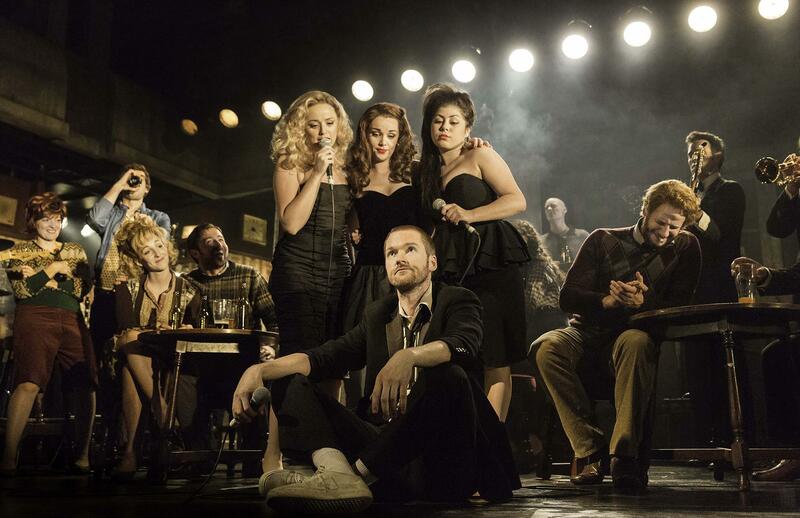 The Commitments was reviewed on Sunday 12 January 2014 at 3pm at Palace Theatre, London, where is has an open-ended run.